AUC Special Envoy on Women, Peace and Security convenes a Consultative Meeting to Review the Implementation of UNSCR 1325 by Member States and Regional Economic Communities. 15th December, 2015, Addis Ababa: The African Union (AU) Special Envoy on Women, Peace and Security (WPS), H.E. 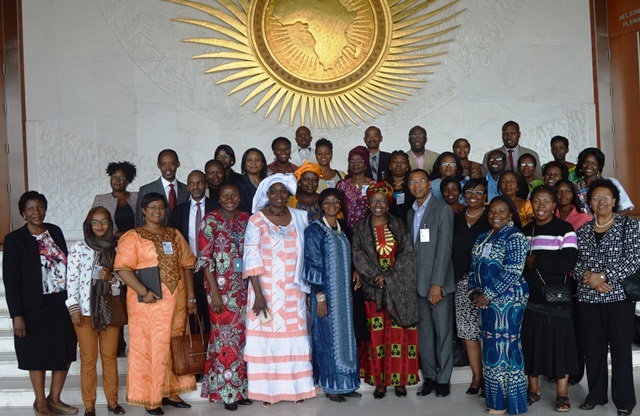 Mme Bineta Diop, convened a two days consultative meeting from 14-15 December 2015 with over 45 representatives of AU Member States from Ministries of Gender and Defense and Regional Economic Communities (RECs) which have put in place action plans for the implementation of United Nations Security Council Resolution (UNSCR) 1325 in Africa. Twelve (12) countries out of the Sixteen (16) that have developed National Action Plans were represented. The meeting benefitted from the support of the United Nations Development Program (UNDP) and the Office of the Special Adviser on Africa (OSAA). It included also experts from the AUC and other international organisations such UNWOMEN, Civil society organisations (CSOs), and partner countries funding UNSCR 1325 initiatives. They met to discuss achievements, gaps and challenges as well as best practices on implementation and monitoring of UNSCR 1325 and the broader women, peace, and security agenda towards the development of a continental results framework which is intended to report for results and ensure accelerated implementation and accountability for WPS commitments. In her opening remarks, H.E. Mme Bineta Diop, urged participants to bring an African perspective to UNSCR 1325, which focuses on the participation of women in conflict resolution, their protection and the prevention of conflicts. She argued that, “Women want to be agents of change, and no longer victims”. She added that in order to accelerate implementation, “We must build the capacities of women in order to have a critical mass of peace builders for early warning and responses”. She said that in that vein, partnerships has been had been established with peace education institutions such as the Women, Peace and Security Institute (WPSI) at the Kofi Annan International Peacekeeping Center (KAIPTC) in Accra, Ghana and the Pan African Center for Gender, Peace and Development (PAC), in Dakar, Senegal. The Special envoy stressed further the need for action stating: “We need to do more. We need to transform the political will into concrete actions, we need to report to each other, we need to learn best practices from each other and we need to accelerate implementation by allocating adequate resources”, she said. She told participants that, “We need your support to undertake research, to monitor and report on progress made and to strategize for future actions… Now is the time for action; it is time for impact”. The Director of the Women and Gender Directorate at the AUC, Mrs. Mahawa Kaba- Wheeler, on her part underscored the African Union’s commitment to the empowerment of women in Africa, noting that the union consecrated 2015 as the “Year of Women's Empowerment and Development towards Africa's Agenda 2063” and that 2016 will also be the “African Year of Human Rights, with particular focus on the Rights of Women”. She announced that consequently, the commission will convene a gender pre-forum during the AU Heads of States Summit which will take place in January 2016. 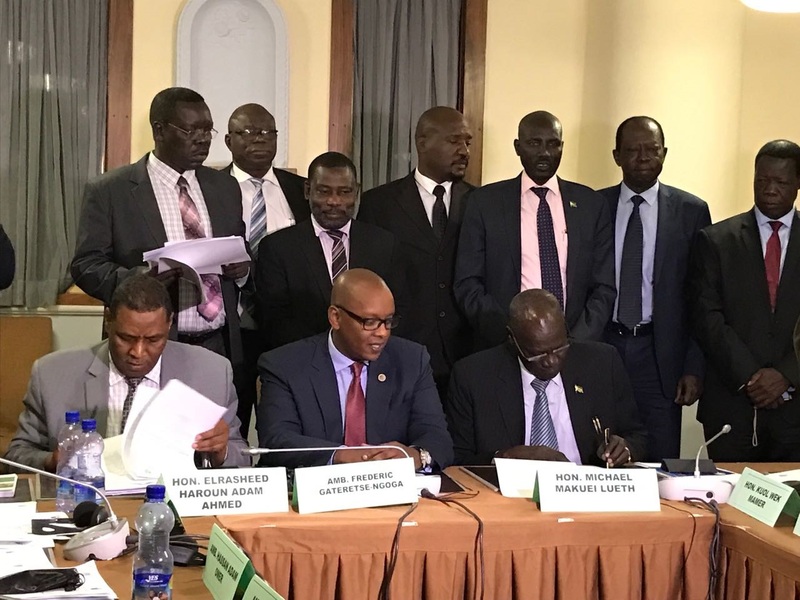 It must be noted that the draft continental results framework will be subsequently validated and submitted to the AU Peace and Security Council (PSC) for approval with the aim to form the basis for an Annual report by the AUC Chairperson on women, peace and security in Africa.